It started with a relatively simple Spanish-sounding guitar part and then built into a complex, multi-layered arrangement which combined being both fiendishly clever in a musical sense and infectiously catchy in a commercial one. Its unique descending melodic pattern also had a strangely hypnotic effect. In addition to this, its lyric was both quirky and highly literate at the same time. Browne also sang it superbly, with the immaculate diction which was a hallmark of his vocal style throughout his career. For this one time, the song’s author had achieved a fusion of his usual musical excellence with a broad-based popular appeal. As a result, the song proved to be a deserved hit, reaching #23 in the British charts in 1972. 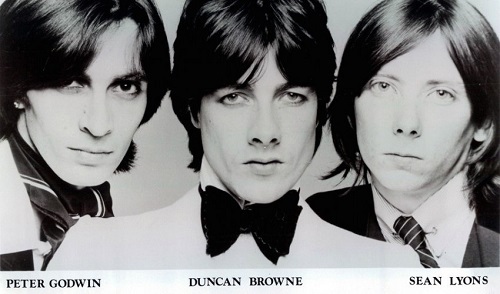 Sadly, though, Journey was to be Duncan Browne’s only real chart success in the course of a musical career which lasted from the late 1960s until his untimely death, at the age of only 46, in May 1993. It appeared on his second self-titled album which was first released in 1973. His musical gifts had, however, been apparent from an early age and eventually led to his studying music theory and drama at the London Academy of Music and Dramatic Arts. 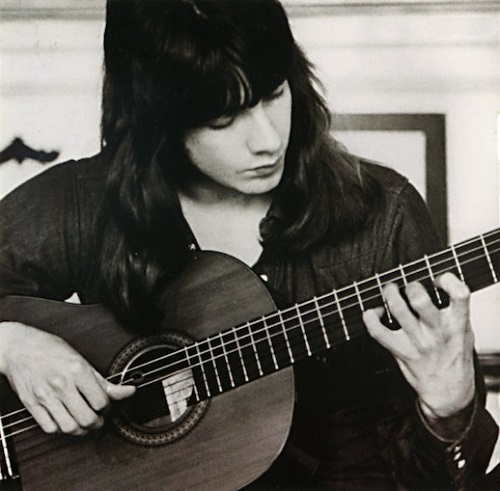 During his time there, Browne had also developed those superb skills both as a classical guitarist and as a vocal arranger which became key elements in his later career. These talents then brought him to the notice of Andrew Loog Oldham (best known today, of course, for being an early manager of the Rolling Stones) who signed him to his Immediate label in 1967. The problem for Browne at this point, however, was that while he had already begun writing music, he did not have any lyrics to go with it. As he was unsure of his own talents in that direction, he turned to a friend, David Bretton, to supply them. Their first collaboration, On The Bombsite, was also Browne’s first single for his new label and was subsequently featured on his classic debut album, Give Me Take You. A particularly striking feature of the song is how assured Browne’s songwriting already was, even at this early stage of his career. It was an early example of his melodic gifts and superb ear for a pop hook, which some later critics have termed almost McCartney-like. While there is a clear Beatles’ influence on the song and also a suggestion of the ‘Baroque Pop’ style associated with bands like the Left Banke, Browne’s music already had a unique quality of its own. For one thing, the nature of his education meant that he had a breadth of musical knowledge and a diversity of influences (ranging all the way from early Church music to Bob Dylan) which few of his contemporaries could match. As a result, Browne was able to mix and match disparate musical styles in an often intriguing and usually very productive way. Like the music of his close contemporary, Nick Drake, Browne’s work also had a strongly ‘English’ quality to it which makes it stand out from that of many of his peers who were determined to sound as American as possible. Taken as a whole, Browne’s debut album had a unity of mood and consistency of artistic vision which bears comparison with similar masterpieces like Van Morrison’s Astral Weeks and Nick Drake’s Bryter Later. The songs were also consistently excellent and it was very difficult to decide which ones to exclude from this list. In the end, my choice was based on selecting those tracks which gave a good representation of the qualities of the album as a whole. My other two selections from it are both character sketches. The first, Alfred Bell, is a poignant portrayal of the life an elderly schoolteacher, which owes something, perhaps, to the Beatles’ Eleanor Rigby and to the similar vignettes of English life then being written by Ray Davies of the Kinks. The second, The Ghost Walks, is a haunting depiction of the death of an old actor set to one of Browne’s finest melodies. While Bretton’s lyrics for the album are steeped in the atmosphere of the late 1960s and occasionally cross the line between acceptable affectation and pretentiousness, Browne’s music throughout has a timeless quality which means the album remains as fresh today as it must have done on its first release in 1968. Despite their artistic excellence, however, neither On The Bombsite nor Give Me Take You had the commercial success which their merits deserved. Indeed, soon after its release, the Immediate label itself ran into financial difficulties and this, in part, meant that Browne’s album did not receive the type of promotion which might have brought it to a wider audience. After the demise of Immediate, Browne was involved in a few commercially unsuccessful side-projects before Mickie Most signed him to his RAK label in 1972. Up to that point Most had been best known for his skills as a pop producer and it was, perhaps, his influence which meant that Browne’s second self-titled album, first released in the same year, had a far more overtly commercial sound than his first album. It was also a more conventional ‘singer-songwriter’ album than the earlier one had been. However, while it may have lacked some of the singular magic and almost ethereal beauty which Give Me Take You had possessed, Duncan Browne was, nonetheless, a substantial achievement in its own right. It was also, in some ways, a more personal album as Browne wrote his own lyrics on this occasion. Like its predecessor, it also had an internal unity which made it very difficult to decide which tracks from it should be included here. After repeated listenings, however, I just about decided on which ones to include – along with Journey – although I still regret omitting the beautiful In A Mist which can, however, be heard here. My first selection, Over The Reef – like In A Mist – is a superb vehicle for Browne’s brilliant skills as a guitarist. Although it would probably be seen as somewhat un-PC these days, its lyric is also a fine example of Browne’s dry wit. My other choice, My Old Friends, touches on a similar theme to that which Bob Dylan dealt with in Bob Dylan’s Dream but, in my opinion, does so far more effectively. As Michael Gray has pointed out, it also contains “a cluster of fresh and lovely lines” in the middle of the song. Despite its sustained excellence, Duncan Browne did not achieve the breakthrough to the wider audience which the success of Journey had suggested that it would. With his solo career seemingly stalled, Browne gradually moved towards forming a band with the singer Peter Godwin whom he had become friendly with in the early 1970s. The new band’s music represented a significant shift in Browne’s work and had far more in common in many respects with the music then being made by David Bowie and Bryan Ferry than it had to his own earlier work. From the beginning, Metro cultivated a sophisticated and cosmopolitan image which was worlds away from the musical atmosphere in which Browne had previously moved. At this point, also, Browne began to play electric guitar and this marked another break from his previous musical direction. 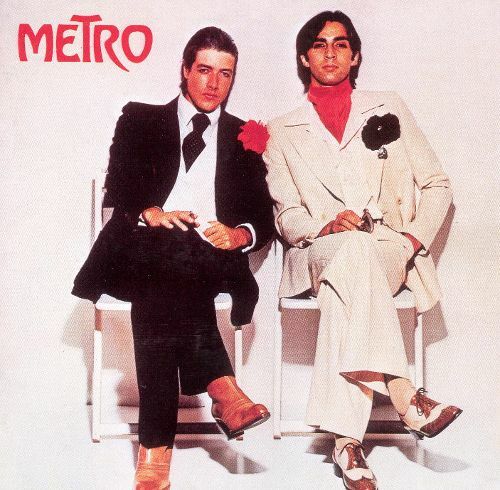 Although I have not included any tracks by Metro here (as they are worthy of a Toppermost in their own right), it would be remiss of me not to mention their most famous song. In many respects, the song was a perfect fit for David Bowie’s musical style and he recognised this by recording a cover version for his 1983 album, Let’s Dance. In interviews he gave at that time, Bowie also expressed his admiration for the Metro album from which the song came. His version of it can be heard here. By the time Bowie recorded the song, however, the original line up of Metro had long since split up. By 1978 the creative tensions between Browne and Godwin which had helped to give the band its impetus in its early days had become more pronounced. As a result, he left the band and returned to recording as a solo artist. However, the material he recorded on the two albums which followed – The Wild Places (1978) and Streets of Fire (1979) – remained very much in the sophisticated and slick pop-mould which had characterised Metro’s music. Indeed, on both albums sheen sometimes outweighed substance, with Browne clearly having to take commercial considerations in mind much more than he had in his earlier work. Despite this, however, both albums contain some fine songs and these include the superbly catchy The Wild Places which was a hit in many European countries and reached as high as No.8 on the Dutch charts. It also led to one of Duncan’s rare TV appearances. My second selection from this phase of Browne’s career is the beautiful and haunting ballad, China Girl (it has no relation to the Iggy Pop song) which he recorded as a single in 1979. It did not, however, see an official release until the recent appearance of the compilation, Planet Earth: The Transatlantic/Logo Years 1976-1979. A later version of the song (recorded under the name No Name Girl) can be heard here. By this point, Browne’s continued failure to achieve the type of commercial success which his talents merited led him to move into other areas Indeed, his musical versatility and capacity to write extremely atmospheric pieces made him a natural fit for the work which he now took on in writing TV theme music and incidental music for theatrical performances. As ever, his work in that field was of the highest possible quality. Among the more notable of these works was his brilliant score for the ITV series, Travelling Man. In a sense, this type of work represented something of a homecoming for Browne, as he had maintained an interest in the theatre since his early years. Indeed, it was only after he was diagnosed with cancer in the late 1980s that Browne decided to return to his roots as a singer-songwriter. He recorded this new material with a small group of trusted collaborators who included Nick Magnus and Sebastian Graham Jones, with whom he had worked on much of his TV and theatre music, and Colin Blunstone, the great English singer, best known for his work with the Zombies. Sadly, the album which he had intended to make had not been completed by the time he died, aged only 46 in May 1993. As a tribute to him, however, his friends decided that they would complete what he had started and the result of their work was the excellent Songs Of Love & War album released in the same year. For those of us who admired his early work, the album also marked a very welcome return to the quieter and more introspective tone which had characterised his brilliant debut album and its successor. An example of this shift was the inclusion of the beautiful instrumental Berceuse which clearly displayed the fact that Browne’s superb skills as a guitarist had not deserted him. Misunderstood is yet another indication of Browne’s remarkable versatility as a songwriter. It is a superb ‘white soul’ ballad, brilliantly sung by Blunstone. All in all then, Songs Of Love & War served as a fitting end to the recording career of this fine and much underrated musician. Although this piece is one of a series about ‘One Hit Wonders’, I have to enter the caveat here that, in my opinion, Duncan Browne’s music deserves far more credit than that title usually warrants. Indeed, I would argue that his first two albums deserve a very high place indeed among the great ‘lost’ albums of the late 1960s and early 1970s. While his later work did not, perhaps, reach the same heights, he continued to produce extremely high quality work throughout the rest of his life. It is also the case that there seems to be a new appreciation of this fact in recent years. While researching this piece, it also became clear to me that Duncan Browne’s work is attracting more and more new admirers every day (many of them extremely fervent ones). Sadly, this is too late to benefit the man himself but it is a testament to the enduring and timeless qualities of his music. What a terrific artist: I can sort of see why he only has the one hit – it’s not terribly commercial, and even ‘Journey’ is not an obviously marketable song. But he is certainly a major talent. Long overdue Toppermost on a much overlooked artist. I’ve been aware of his name since hearing the quirky Journey in 1972. The Colin Blunstone connection is interesting as they are similar artists, I think. I interviewed Colin not long after Duncan Browne died and he spoke very fondly of him as an inspiration, I recall. Anyway, great piece and I’ll be looking out for his slim output at record fairs! An introduction, an education and some fine writing to boot. Thanks Andrew, I knew nowt about Duncan before reading your post but will be making up for lost time. Dave, David & Rob (sounds like a 60s group..) Thanks for these kind comments. David – I think that Duncan was one of those artists that record companies found difficult to pigeon-hole. His music covered so many different genres. Rob – hunting around record fairs is one of my favourite occupations too. In relation to the Duncan-Colin Blunstone connection, this is one of my favourite of their collaborations (brilliant guitar part supplied by Duncan) here. Dave – first two albums are classics, but everything he did is worth checking out.